Since 1991, I have taught and coached people all over the world how to find their God-given purpose. To help me do that, I formed a ministry called PurposeQuest International. 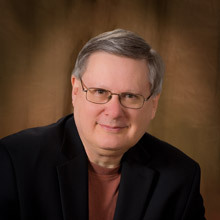 Now there is a purpose revolution sweeping the globe and many are seeking clarity and direction as to how they can be most effective in these exciting days. I want to invite you to be part of a unique vacation and ministry experience by joining my wife, Kathryn, and me on our third ministry cruise to Alaska. I have been to Alaska a total of ten times and it always takes my breath away. On many trips, I have accompanied some of God’s great teachers, and I have been spiritually impacted and physically renewed. During our week together, we will open God’s word as we meet together to study the issues of purpose and productivity. I urge you to come with family and friends, for I am finding a special ability to speak to young people about their future in the will of God. This brochure explains the practical aspects of our cruise. Study it and make sure it has what you want for a vacation. 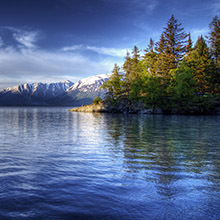 Each time I have gone to Alaska, I have gone through Inspiration Cruises & Tours. They are my friends, but they also do a fabulous job of making sure your cruise is all that it can be both logistically and spiritually. If you have any questions, please call the toll-free number to talk to the Inspiration team, or email me through my website. I look forward to being part of a week that is sure to change your life, and will provide the vacation of a lifetime. After a morning read on the balcony, walk around the ship’s deck and enjoy the fresh ocean air. Or treat yourself in the ship’s spa. During today’s lunch buffet, sit with someone new—conversations with friends will become a highlight of your cruise. August 6, 1:00 P.M.–9:00 P.M. While Alaska’s capital city arose during the gold rush in 1880, you’ll participate in new kind of rush: one of adventure tourism. 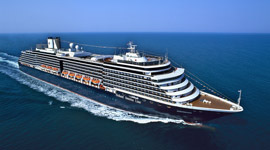 In recent years, this modern city with a frontier past has become an extremely popular destination for cruisers. A coastal gem, Juneau is surrounded by lush forests, towering mountains and the icy Gastineau Channel. 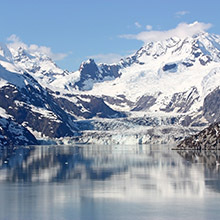 Nearby wonders like Mendenhall Glacier, the Juneau icefields and Tongass National Forest offer countless opportunities to revel in the world God created. 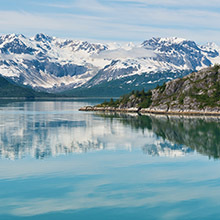 Whether you enjoy hiking, whale-watching or simply shopping in the presence of astonishing views, adventure awaits in Juneau. August 7, 2:00 P.M.–6:00 P.M.
You’ll be inspired to worship as you take in the majesty of Hubbard Glacier. 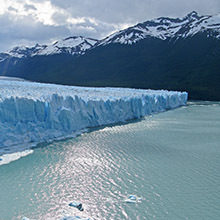 At 76 miles long, it’s the largest tidewater glacier in North America, moving from Canada's Mt. Logan toward the Gulf of Alaska, where it plunges several hundred feet down into Disenchantment Bay. You’re likely to gasp at both its size—Hubbard Glacier towers over a cruise ship—and its unforgettable blue coloring. August 8, 8:00 A.M.–4:00 P.M.
You’ll spend a thought-provoking day in multicultural Sitka, where Native Alaska collides with Russian heritage. A prominent Russian settlement in the 19th century, Sitka was once the most important seaport on the West Coast. Today, this remote fishing village is more notable for its sweeping Pacific views or the snow capped crater of Mt. Edgecumbe, a dormant volcano. Along with the highlights of God’s Creation, you’ll also be treated to the dramatic man-made spires of St. Michael’s Cathedral, Sitka’s amazing seafood restaurants and the fascinating Raptor Center and Totem Park. August 9, 7:00 A.M.–1:00 P.M.
What will you do in the “Salmon Capital of the World”? Your options are many. Stroll the stilted houses and colorful shops of the historic Creek Street boardwalk. Explore the world’s largest collection of standing totem poles, distributed among four locations as symbols of Native Alaska’s artistry and culture. Take in the magnificent scenery of the surrounding forests, peaks and waterfalls for which the state is known. Weathered and unique, Ketchikan is authentic Alaska. August 10, 6:00 P.M.–11:30 P.M. In Victoria, you’ll experience one of the most British cities in the Americas. This “City of Gardens” is located at the southern tip of Vancouver Island, but it might as well be on the other side of the Atlantic. Here, you’ll find double-decker buses traveling from turreted castles to modern skyscrapers. In one direction, you’ll catch views of a spectacular natural harbor. In the other, you’ll find snow capped mountains. Meanwhile, you’ll want to spend as much time as possible enjoying Victoria’s gourmet restaurants, inspiring galleries and sweet boutiques. Ocean View Stateroom with Window: An optimal choice for passengers wanting to see the ocean, these comfortable cabins pack a surprising number of luxuries into 174-255 square feet of space, including twin beds (convertible to queen-size), a sitting area, vanity area and private bathroom. Deluxe Verandah Ocean View Stateroom: A wonderful selection for passengers desiring the views and extra space of a balcony, these beautiful cabins include luxurious twin beds (convertible to queen-size), bedside USB ports, a sitting area and vanity area, frameless glass shower doors in a private bathroom, and stunning floor-to- ceiling windows. Total space is 213-379 square feet, including verandah. Neptune Suite: The ultimate choice for passengers seeking luxury, these are the largest staterooms on the ship, offering two lower beds that convert to a king-size bed, dual-sink bathroom vanities, a full-size whirlpool bath and shower, a large sitting area, a private balcony, and floor-to-ceiling windows in 465-855 square feet, including verandah. Also included is access to the exclusive Neptune Lounge, a private haven offering personal concierge service.